Monica Tatoiu has left her management of cosmetics company Oriflame in Romania after 14 years at the helm of the company. 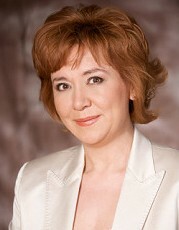 The new GM of the company is Pavlina Marinova, who has been working for 15 years in the company. Tatoiu has brought the Oriflame brand in Romania. She disclosed her decision to leave the company even from 2008, but delayed her leave due to the economic crisis and until finding the right replacement, she said. Marinova used to be financial director with Oriflame. Since 2007, she has been Oriflame's vice-president for sales operations.